The two-story brick building with Romanesque Revival detailing was built in 1913 as the Sunset Heights School. The school, when completed, stood outside the city limits, though it became part of the Houston School District in the 1920s. In 1926, a one-story Classical Revival building was constructed adjacent to the 1913 school and the name of the school was changed to Alamo Elementary. 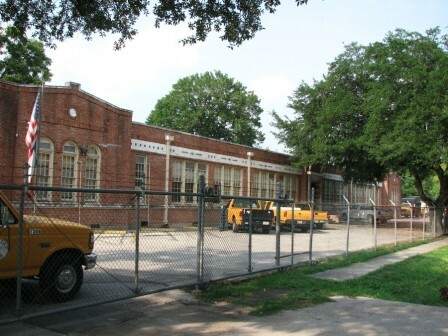 Since the 1980s, the property was a maintenance facility for the Houston Independent School District. The school was placed on the district’s list of properties set for disposition. The school occupied a full block in a historic residential neighborhood that faced significant development pressures. Nominator: Greater Houston Preservation Alliance (now Preservation Houston).